Fantastic couple of days at dD Drums at the hands (and feet!) of the one and only Gabor Dornyei. This time we split the weekend over an intimate and dare I say ‘famous’ Evening with… sessions on the Saturday night and a day of One to One tuition on the Sunday. Evening with Gabor Dornyei – Saturday 12th November. dD Drums shop, as some may know is not the biggest of spaces (especially for a kit the size of Gabor’s!) however it is within this setting that me and the dD gang of dedicated learners have witnessed more than a few nights like this, making these up close evenings a rare pleasure enjoyed by a fortunate few. 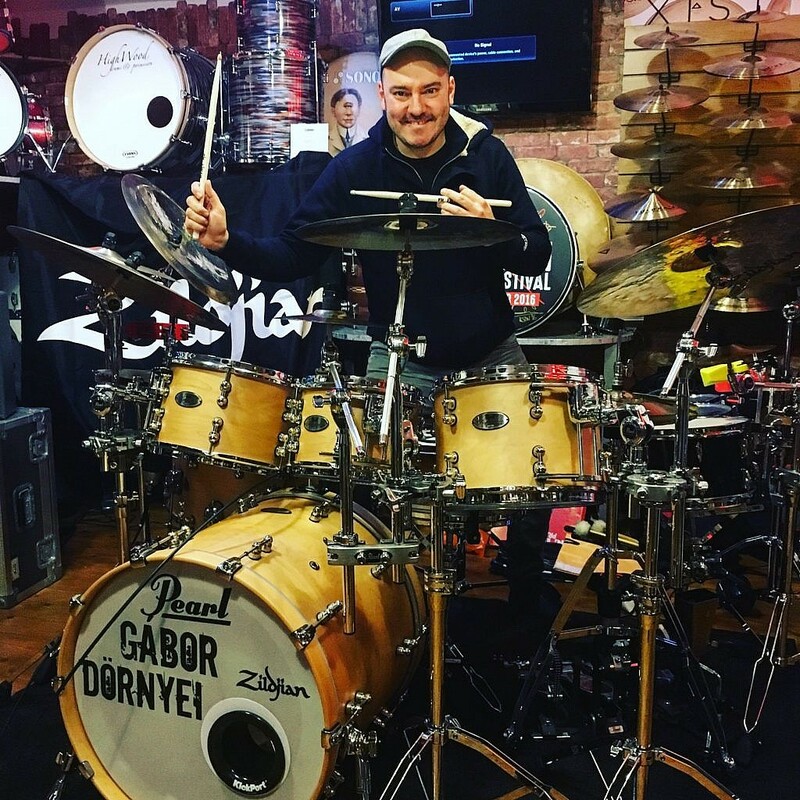 Buzzing from the minute he arrived Gabor set up his full kit in the middle of the shop and within minutes of jamming to a track to set his volume he was set to go. In the mood to entertain and educate tonight’s audience. To a full shop perched on drum stools Gabor opened the evening with a jaw dropping rendition of his Quartet’s song ‘Stream’ . Complete with beautiful explanation of the songs roots and what inspired him to perform the parts he played to it. This got the night started in style and a flow of questions followed from the gathering. Gabor was on top form as ever and was highly entertaining whilst delivering some great knowledge and helpful tips on the Samba style of playing that the song featured. 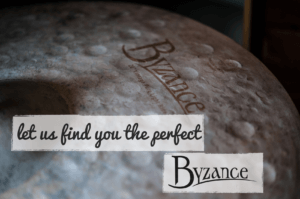 Please check out his Drumeo performance of the song in this blog for an idea of what we all witnessed up close! Gabor treated us to two further compositions during his Masterclass ‘101 Shuffle’ that put an amazing vibe into the room with all clapping along at Gabors request on the 2’s n 4’s and an amazing rendition of Jazz standard ‘One Night in Tunisia’ to close with. As Gabor himself said at the start of the evening. This is me and you’re going to hear exactly what I sound like on acoustic drums in front of you. Quite simply the sound was stunning. Gabor’s abilities and musicality were a pleasure to experience in such close proximity, showing that it is indeed the movements that make the music and the great player who makes the movements. 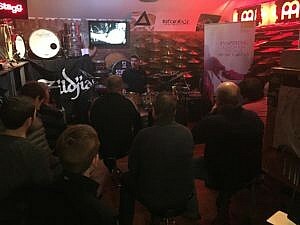 Our evenings audience were in the zone to benefit from Gabor’s knowledge and experience to take away some ‘magic’ for their own playing, everyone leaving enthused with something to now consider on their own musical journey. Our Sunday saw a couple of the previous nights audience back for their exclusive One on One lesson with the great man – one claiming he hadn’t slept all night as he’d been up thinking about the playing he’d witnessed the night before! 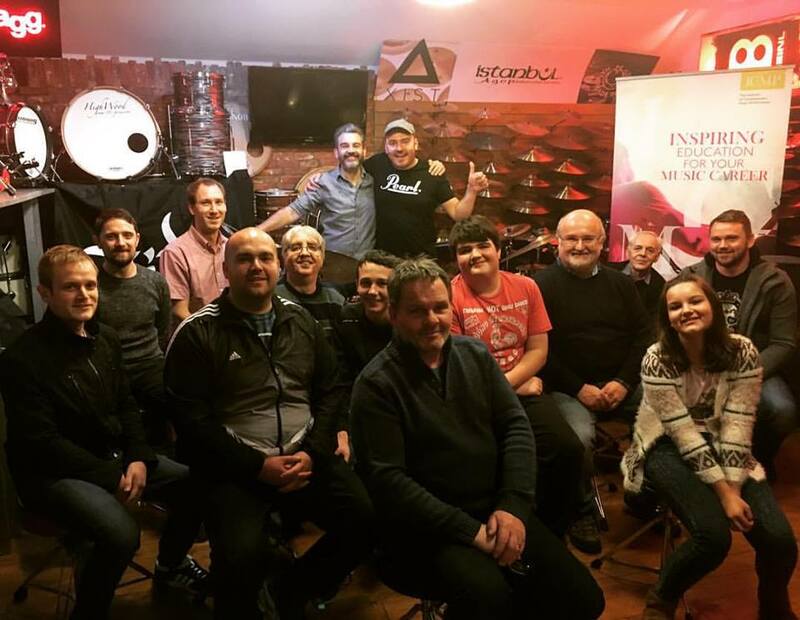 As this was his second visit to dD Drums for lessons the take up was good with all available slots selling out with past students and a few new faces. Proving again that Gabors skills are worth benefiting from. Even on a Sunday morning! 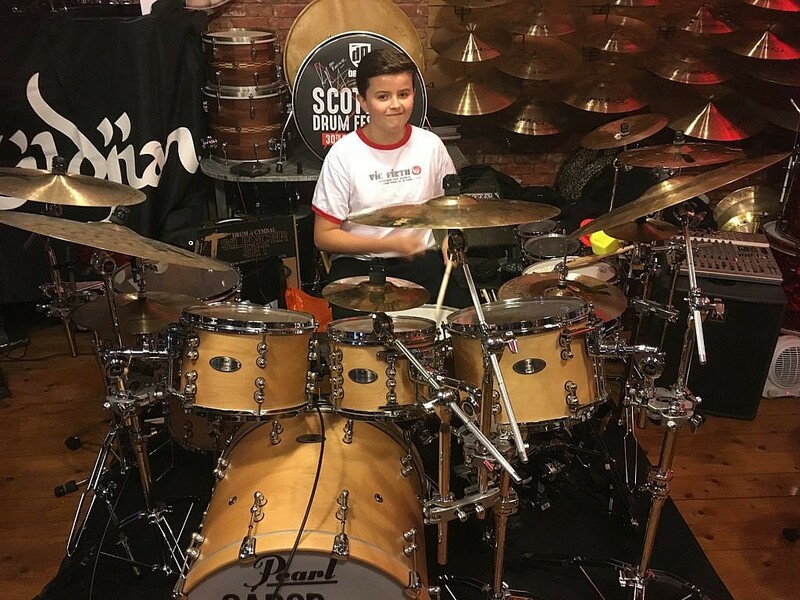 As Gabor’s kit was setup in the shop we were not only offering a lesson with the great man but also a shot of his incredible kit modeled below by keen student Euan. On the day all students arrived with an appetite to learn and served up questions relating to the area’s they felt they would most benefit from. This had Gabor delivering the goods on topics such as foot control for Samba, Clave patterns and also the importance of reading and rudimental studies. Delivered in a warm and enthusiastic manner every time. 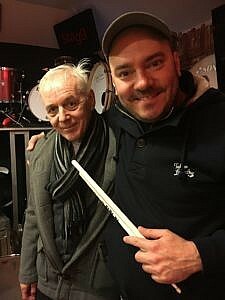 All day long Gabor’s students left thankful of the great mans times and satisfied with more than a few ideas to improve and further develop their musicality on drums. Insightful knowledge flows from Gabor as easily as his flawless playing does and it is both these qualities that see him as not only a world class player but also a world class educator. A very inspirational time was had by all. 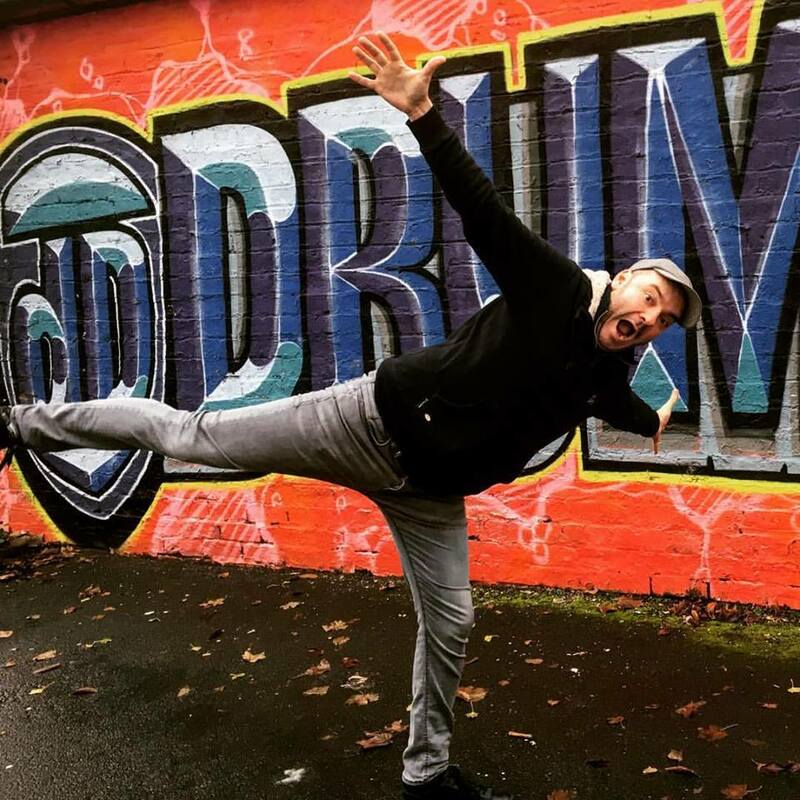 Massive thanks to Gabor for his time to come all the way up to Scotland to teach us and the awesome dD Drums gang and their quest for learning. For information on more such events please subscribe to the shops newsletter or why not check us out on Facebook or Instagram. We’ve always got something going on at dD Drums and my door is open to both familiar friends and new faces. 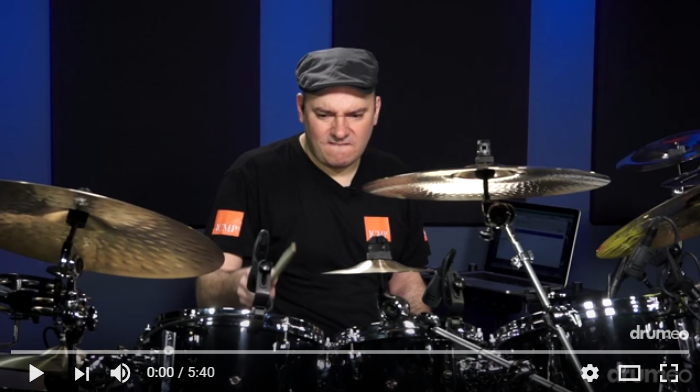 Please take the time to check out Gabor Dornyei’s awesome skills in the clip above, playing the aforementioned composition ‘Stream’ in his Drumeo clip from earlier in the year. Enjoy!